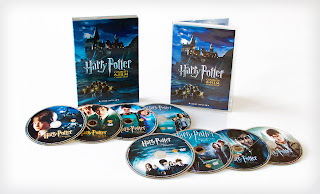 Complete Harry Potter 8-Film DVD Set Only $50 Shipped! For a limited time at Groupon, you can get the Complete Harry Potter 8-Film DVD Set for only $49.99! This deal includes FREE shipping and has a retail price of $78.98! Looking for more online deals? Click here!